Our awesome Gallup Birdhouses just keep getting better! Please join us by creating a unique birdhouse for this year’s auction! We are putting out a call for help to the artists, community members, businesses and organizations of Gallup and the surrounding area to take part in the Birdhouse Project. 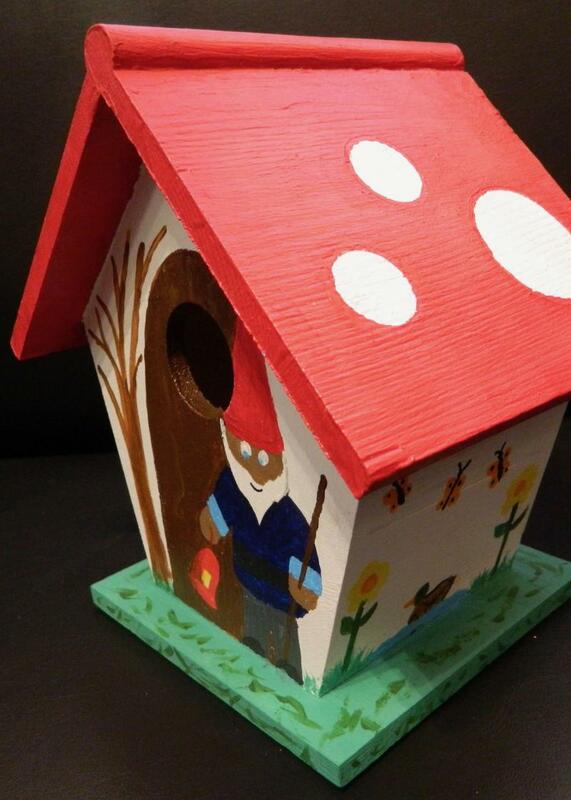 We will provide a basic wooden birdhouse to the first 60 adult participants. After those are gone you may buy your own birdhouse or feel free to make your own! We ask that each birdhouse be decorated, reinvented, repurposed, embellished, or in some manner changed. The intent of the project is to honor our cause by raising money. Quality of work is important to that end. The birdhouses will be due Saturday, April 21st and will be on public display after April 27th. The birdhouse auction will be Sunday, May 6th at 6:00 p.m. at Sammy C’s Pub and Grill on W. Coal in downtown Gallup. We want you to have fun with this project. Be creative! Be fearless! Make something memorable! Leave your mark on Gallup. 30 West Shady View Dr.